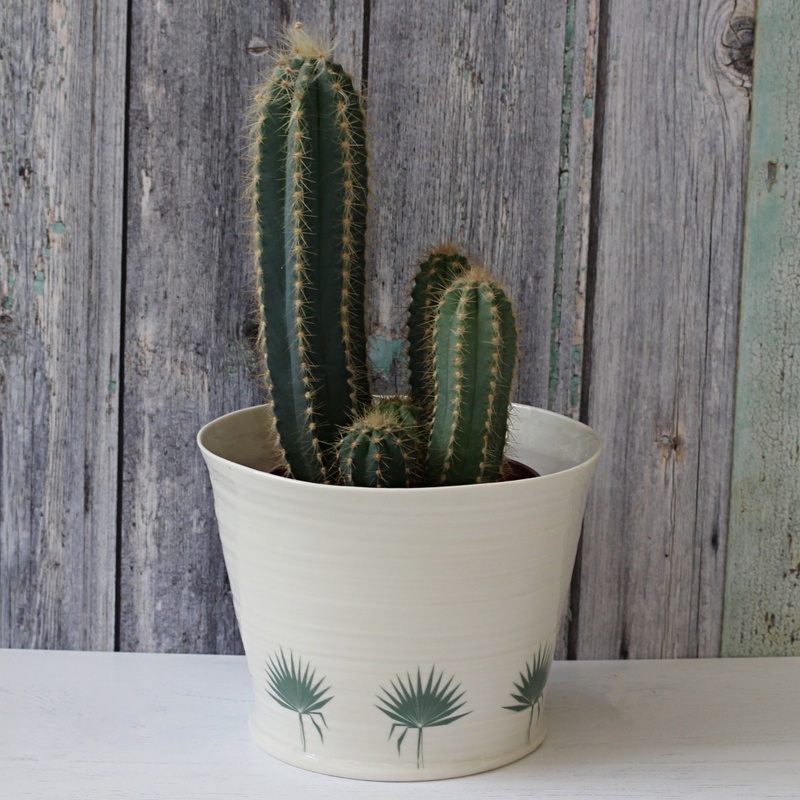 Home / All Tableware / Plant Pots / Botanical Bliss Plant Pot NEW! 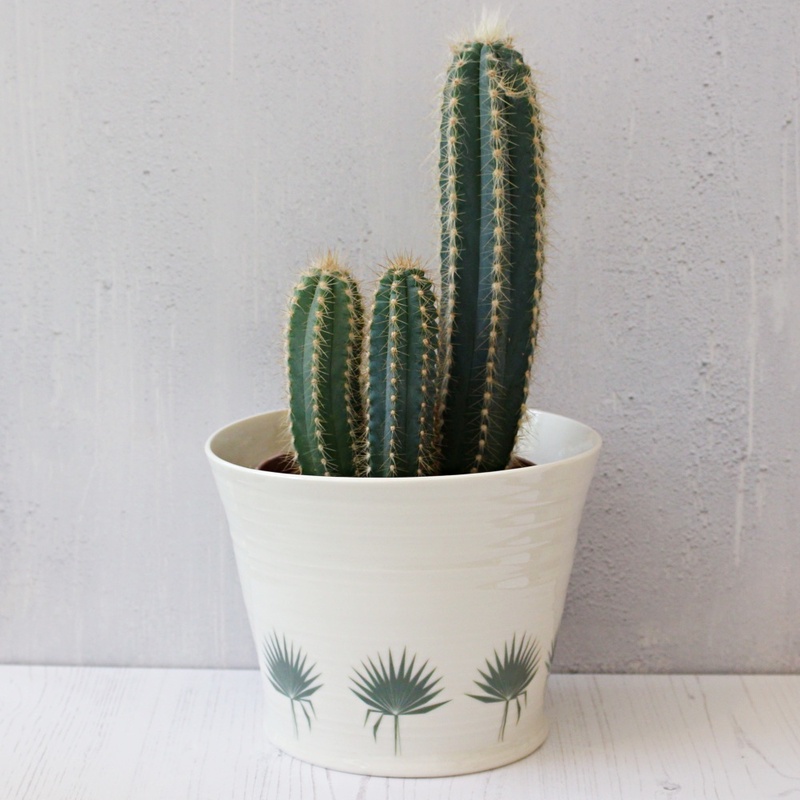 Stylish and elegant hand thrown porcelain plant pot collection with unique botanical designs. 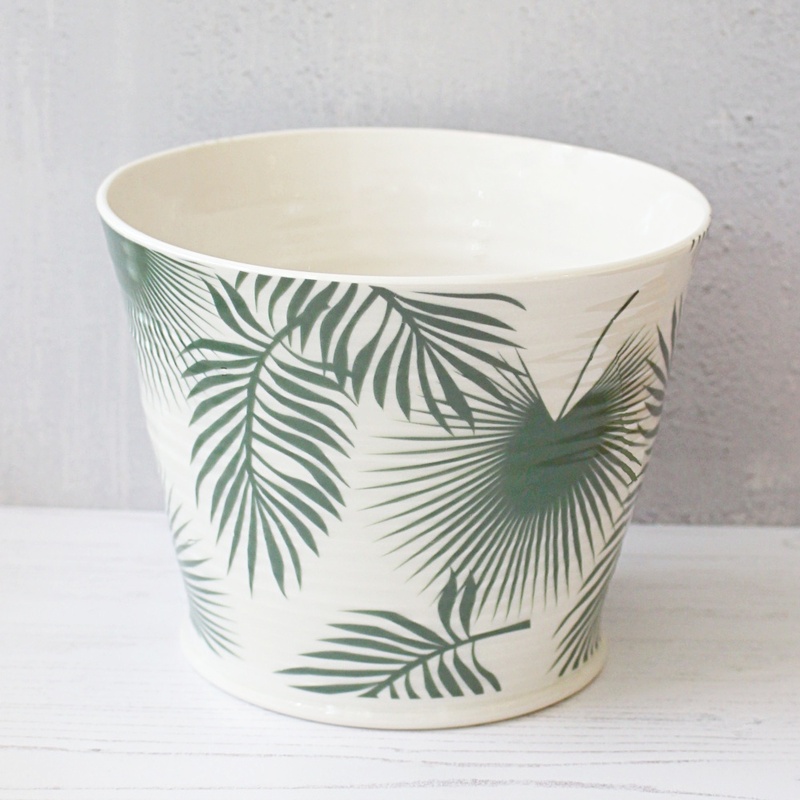 Bring the outdoors inside with this sumptuous plant pot. 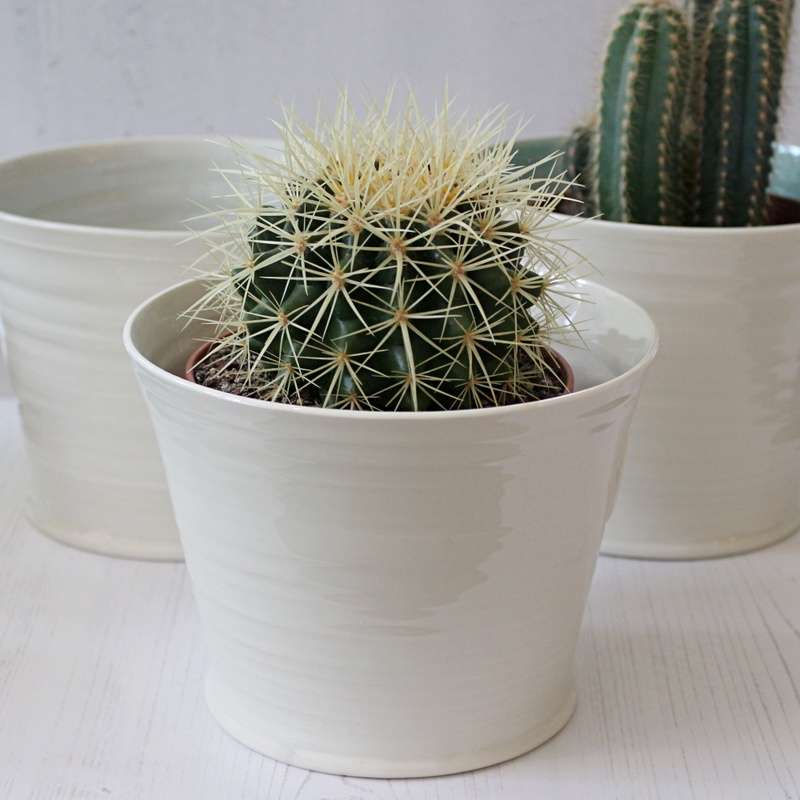 The perfect size for your succulents, cacti and other botanicals. 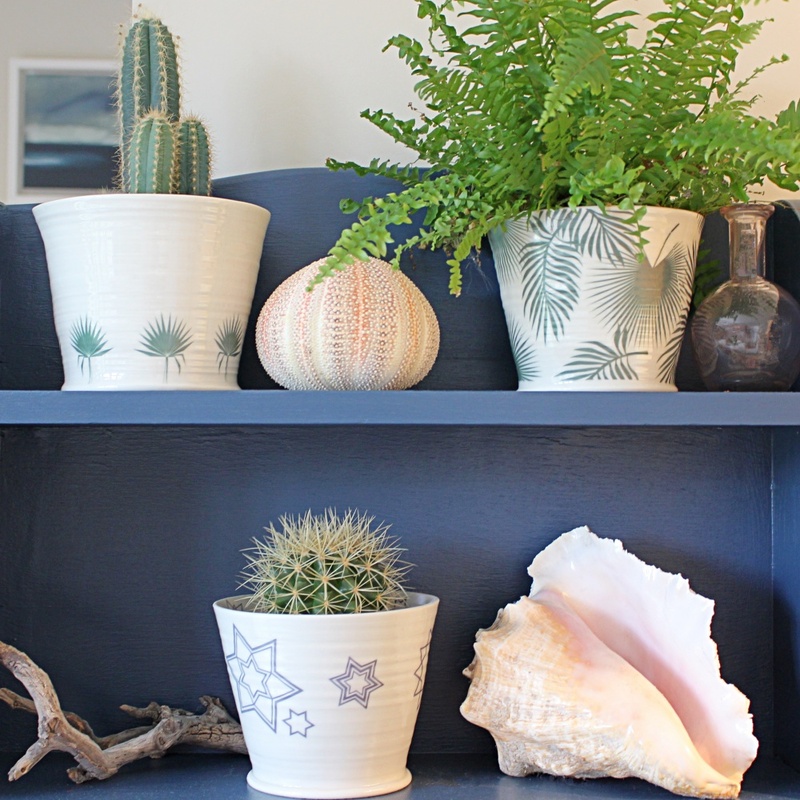 Embrace the bohemian on-trend revival with a choice of plant pot designs, including: the fan palm or tropical mix leaf designs. 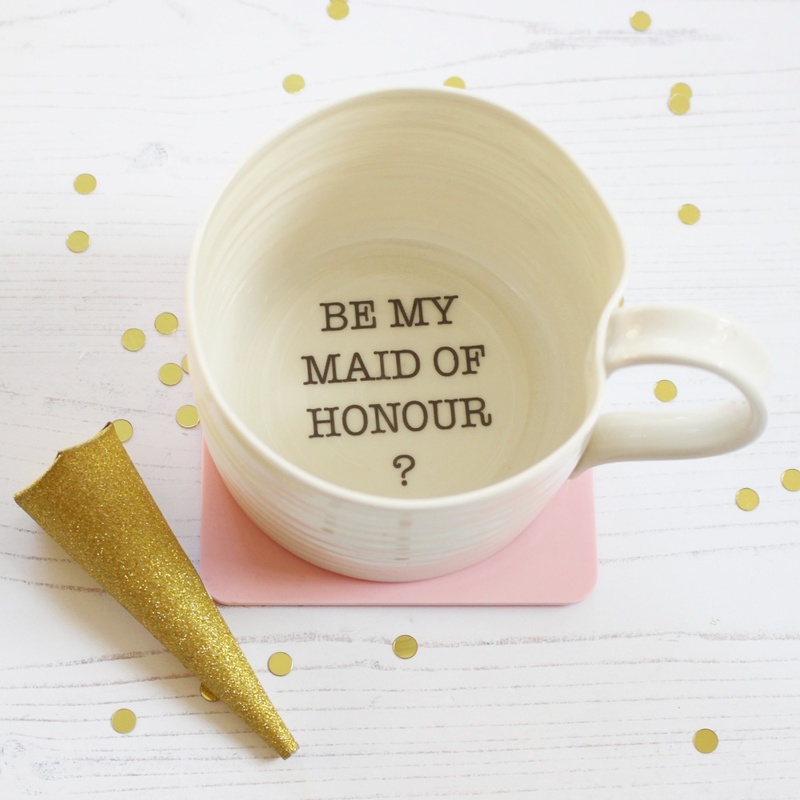 Part of the Botanical bliss range which includes: Palm leaf straight mug, Fan leaf print mini mug & the Tropical mix leaf tall mug. 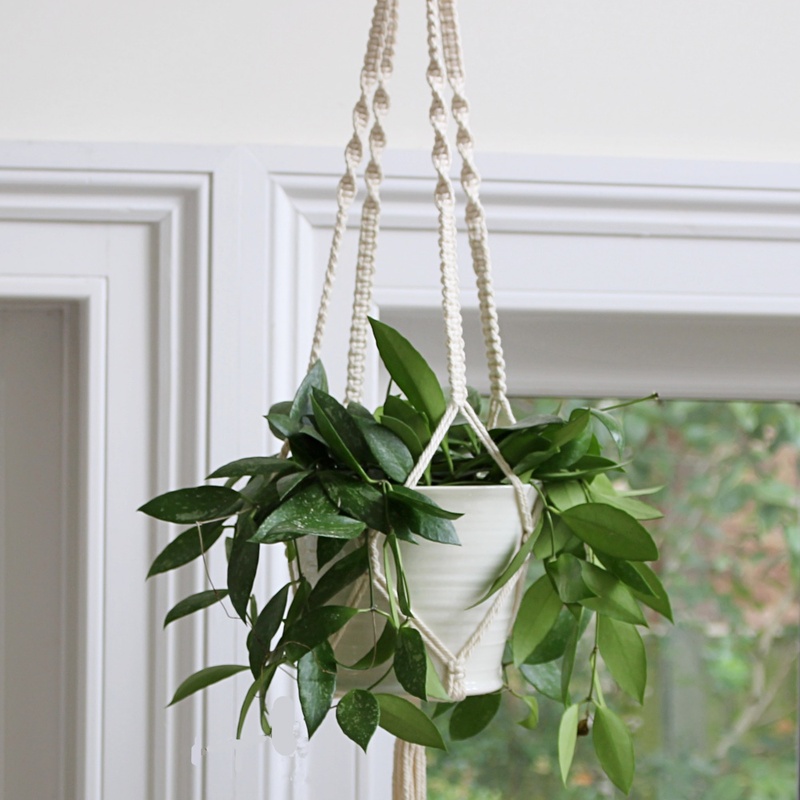 Go one step further and elevate your botanicals with the cotton macrame plant hanger perfect for your trailing plants. 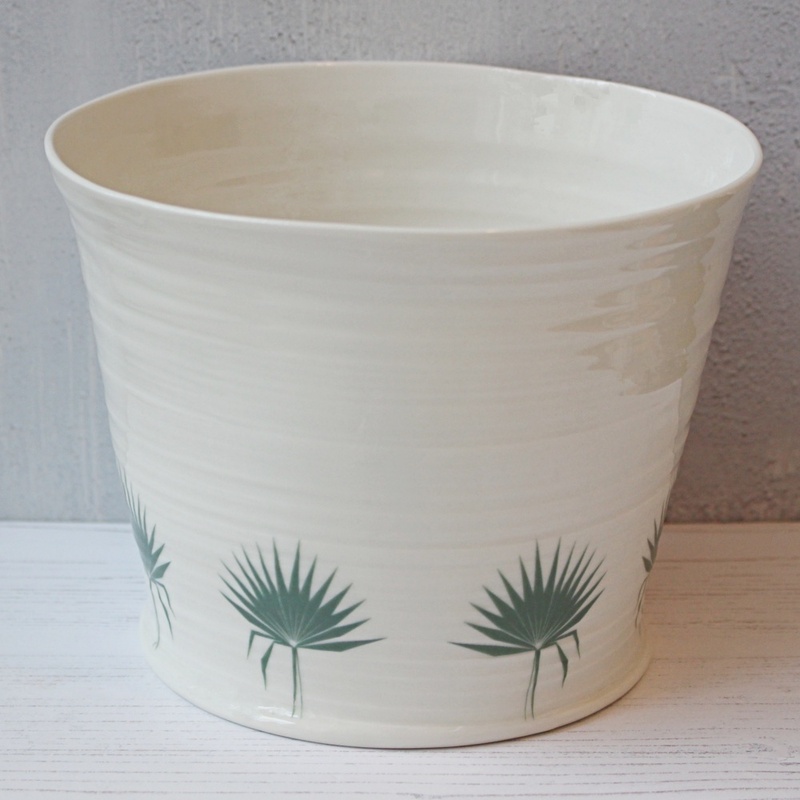 Designed to house a standard 1litre plant pot, there is no drainage hole. 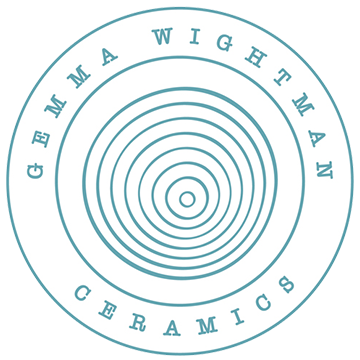 Hand thrown in the finest porcelain in the Gemma Wightman Ceramics Surrey studio. 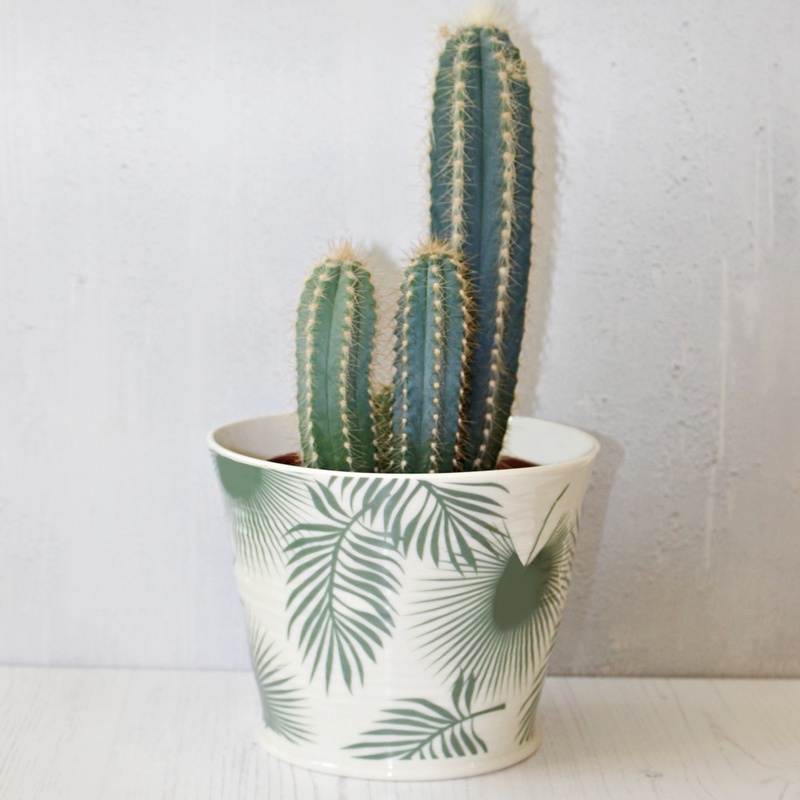 The beautifully bold, fresh palm designs are screen printed in enamel before being applied to each piece individually by hand. 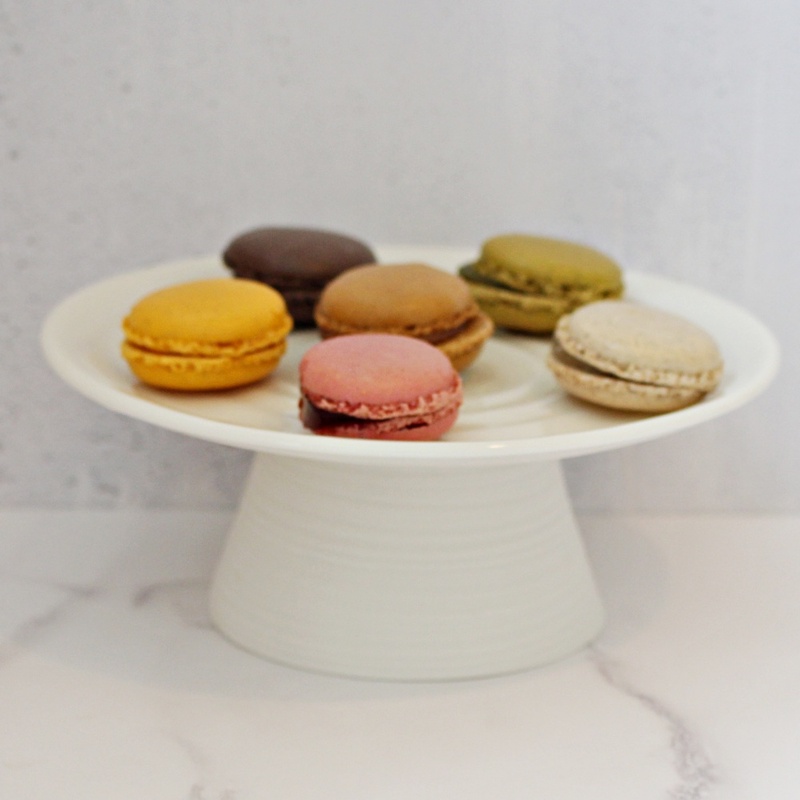 High fired so that each piece is dishwasher proof. 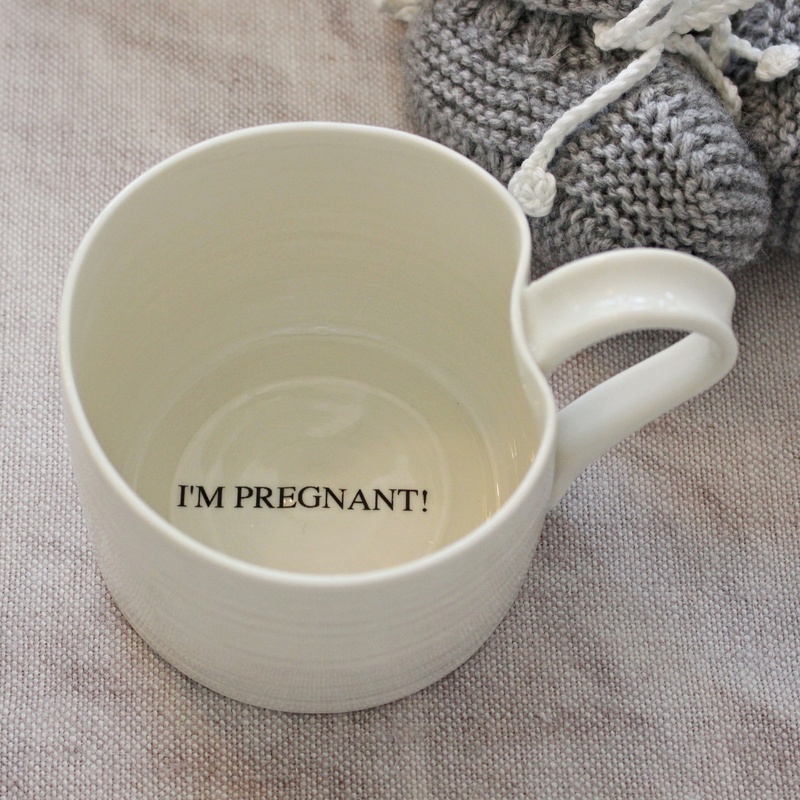 Plant Pot NEW! 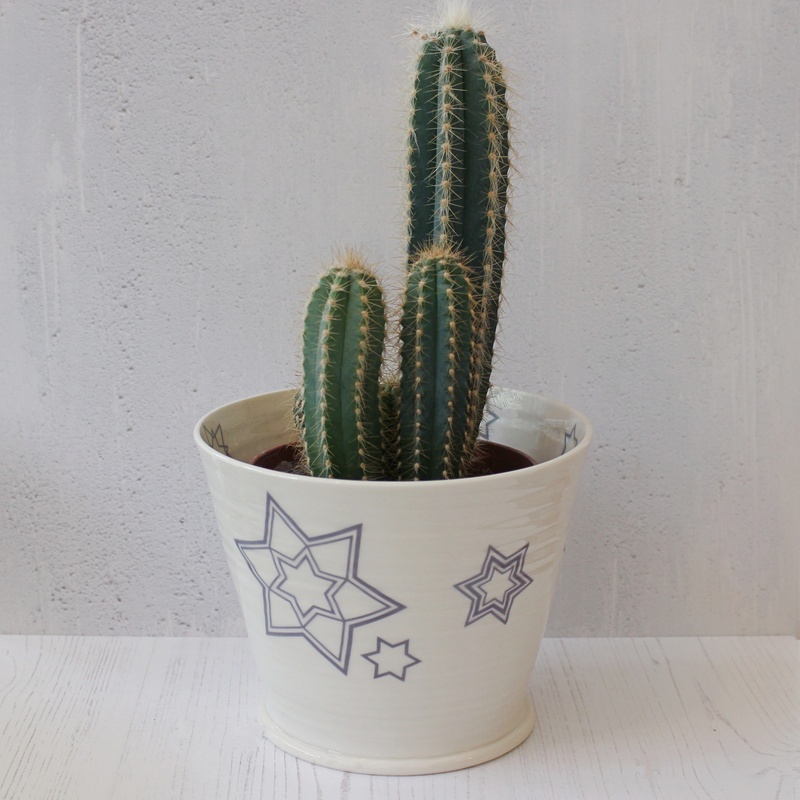 Metropolis Star Plant Pot NEW!